The older the trunk strut (AKA hatch strut) on your car, the greater the likelihood that it could fail when you least expect it - like when you're reaching into the trunk for something. If you have determined that one or both of the struts has worn out, ensure your safety by replacing them with these Stabilus units. Sold individually. 2 per vehicle. For vehicles with trunk spoiler. This strut provides a smaller opening angle than the strut design that precedes it, but this design allows the lid to be manually pushed open to increase the opening angle. 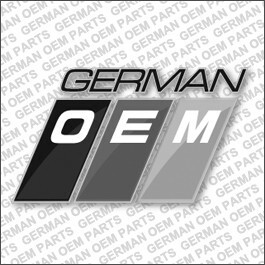 Note: Special Order items are not returnable, so to avoid disappointment, please email your VIN to us at info@germanoem.ca to be sure that this will fit your particular application.